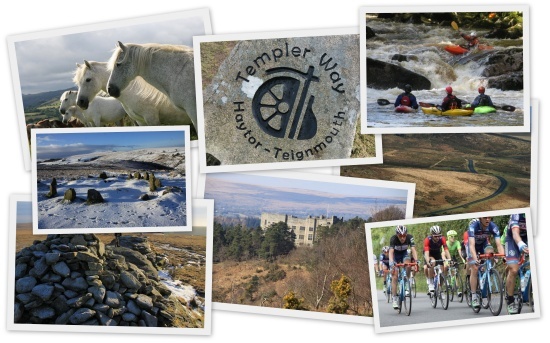 Why holiday or weekend break in Dartmoor National Park? Fringed by some of the most beautiful wooded valleys in the UK, Dartmoor National Park is home to the only two mountains in southern England. Millions of people experience its high moorland and visit its tors every year. Clearly, it's a very special place. Less well known are its extraordinary prehistoric sites. Dartmoor has an astonishing number of prehistoric attractions including the longest stone row in the world. There are National Trust properties and English Heritage sites, top class museums and quality National Park Visitor Centres as well. Over by the western border of the Park is a mining attraction within a UNESCO World Heritage Site. All over the moors is evidence of a fascinating industrial past. Look out for the remarkably hardy ponies on Dartmoor. Kingfishers, herons, salmon and trout can be seen in and around Dartmoor's numerous rivers. Watch the starling roost up at Okehampton Camp. Visit art galleries and enjoy public art as you travel around. Eat and drink produce sourced from local breweries and farms. If you're looking for luxury then book into one of Dartmoor's many exclusive, award-winning hotels. If you want an adventure, wild camp! The team behind Holiday in Dartmoor live and work in Dartmoor National Park. We'll continue to photograph and write about Dartmoor to encourage you to holiday or weekend break in the Park.